How it all started- Bringing a Reiki community together? I wrote this article 8 years ago in 2010 but never published it. When a Reiki Master friend recently asked me to advise on how to start a Reiki community, I dug this article out. Now I’ll write a sequel on what happened in last 8 years and how our community evolved. Here is how it all started…. It all started on a fall afternoon in 2008 when I was meditating. I got an “instant message” that “It’s time”. I instantly knew what this was all about. Questions of my logical mind followed. Now?, Me? ,How? Where? Mute, no answer, deep silence, nothing, no response. It was a passion for me to bring the local Reiki community together when I first started Reiki, but why now? How should I do this? Who am I in the world to bring the local Reiki community together? The next few days I tried to answer all these questions. I realized I’ll figure it all out along the way. The idea thrilled me but I was equally scared at the same time. It was a huge task but the more I thought about this, the urge become so strong, stronger than any doubt or fear. Now that it’s been 2 years, I can look back and capture some of my learnings, hoping that this might help other Reiki practitioners who have the same passion to bring their local Reiki communities together. How to start: Is there really a need out there? First of all, every successful idea should serve to a “human need”. Is there a real “need” out there in your local Reiki community to get together in the first place? Everyone may seem happy in attending their own Reiki circles, shares. Every Reiki Master may have his/her own Reiki support group going on. Ask the question “What could we possibly ALL do together”? Don’t think that someone else should have addressed this. That “someone else” might be YOU!. The best way to be sure is to ASK the community. Ask your Reiki Community: “Hey Reiki Community: What do you want”? So, I started to ponder how to best know what the local practitioners want. Is there really a “need” out there or am I making this up? The answer came during another meditation: “Use Victory of Light”. VOL is a local psychic festival that attracts spiritual community in Cincinnati twice a year. There are 100’s of booths of energy practitioners, crystal shops, vendors and day long workshops. I’m sure everyone has one of these festivals in their cities. I knew there was one coming up in 2 months. So, I had to hurry! I could use this festival to bring the Reiki community together and ask what the Reiki community really wants. I had to get the news out and reach out to Reiki practitioners. The first idea that came to mind was to start a “Meet-up” group. Meet-up is a web based social networking tool to bring people of similar interest together. I remembered there was a Reiki Meet-up group in Cincinnati at one time. It was not active for quite some time. I decided to start the Cincinnati Reiki Meet-up again. There were over 70 people there at that time, waiting someone to take the ownership. Here it is, that was my first audience. Next step was secure a spot at VOL to get a session during the festival. That would be the first Meet-up group meeting. I wrote a letter to the VOL organizer, introducing myself and explaining my dream. I told the organizer that this is first of a kind gathering and might attract all Reiki practitioners to the festival. I was granted a spot in no time. Now, I had to use that spot wisely. I wrote to the Meet-up group and anyone else I know from my own Reiki circles to invite them to the VOL festival. I made a list of all my Reiki friends. I told them that the purpose is to understand Reiki practitioner’s needs and to improve their practice and figure out how we can bring community together to serve these needs. Thanks to my friend Sundar for the idea; I also put together a questionnaire with 5 simple questions with multiple choice answers (and space to elaborate) to hand out during the festival session to get the pulse of the practitioners. The questions were: What’s your Reiki level? How long have you been practicing Reiki? What does your Reiki Practice look like? What do you need in order to improve your Reiki practice? How would you like to be connected to Reiki community? Finally, the day has come. It was time for VOL. I was pretty nervous at first. 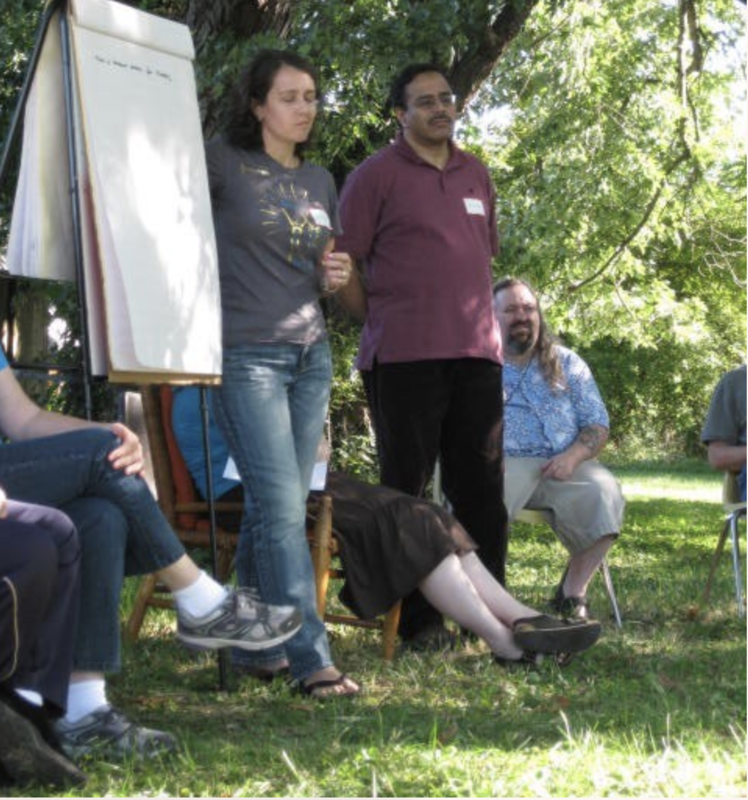 Over 50 people attended the first session at VOL on November 2008. I had a brief introduction of the purpose of the meeting. One goal was to get to know each other better, but I only had 1 hour. So, I divided audience into groups and allowed time for everyone to meet someone they don’t know and have a 15 minute group session to discuss what they think would contribute to their Reiki practice. Then we shared each group’s top 3 ideas. The results were astounding: 93% of participants asked for continuous education and more communication. They wanted to meet with other practitioners/teachers and learn different perspectives. This was the proof. There was a real “need” in the community. Next was to start engaging other Reiki Masters and practitioners. I started with my own Reiki Master friends. I also did a google search on Reiki Masters and practitioners in Cincinnati, I reviewed all local healthy living magazines and health food stores that allow business card displays to gather as many local Reiki Master names as possible. As a first step, I had this idea of creating a one-stop-shop, to connect all Reiki practitioners. This would be a place where someone new to the town or someone interested in learning or deepening Reiki can go in and get all the information he/she needs for all Reiki activities going on in the town. This would be where local Reiki Masters can advertise their classes, support groups and Reiki related workshops; and Practitioners meet with other Practitioners, learn about city-wide support groups and volunteering opportunities, etc. I searched social networking tools, talked to technologically savvy friends (that’s Sundar!) and selected a tool that could provide it all: Ning. I sent the invite to all Reiki Masters. I could invite them to my home but I really wanted the meeting location to be neutral, so that no one would be intimidated. I rented a local Panera’s private room. 12 Reiki Masters came to the 1st meeting in February 2009, some I knew, some I met for the first time. Regardless, we had a great representation of diverse Reiki traditions! Now there was only and only one goal: To spread Reiki in Cincinnati and grow together with Reiki. 1) How can we spread Reiki in Cincinnati? We discussed having city-wide “Introduction to Reiki” sessions. Masters were already having these sessions successfully. It was about sharing our knowledge and wisdom on what works and what doesn’t, where to give these sessions, how to advertise new sessions, etc. We decided to use our social networking tool for that. 2) How can we provide continuous education to Reiki community? A great idea came from one of the Reiki Masters that, before having a “Reiki day” for the community, we should have a “Reiki Day” for Reiki Master/Teachers first. The purpose would be to get to know each other, work together, learn about different Reiki techniques, and any other subjects of interest before we provide day-long activities, workshops, seminars, panels, healing sessions, meditations for the continuous education of the practitioners. 3) How can we help others who need Reiki? We also discussed volunteering opportunities and how we can match local Reiki practitioners with those who need Reiki. We’ve had the first Reiki Day in April of 2009. 28 Reiki Master/Teachers attended the first Reiki Day in Grailville, Loveland and over 40 Reiki Masters attended the second one in September 2009. Along the way, I realized that there are over 90 Reiki Masters in our city! In 2010, we started opening Reiki Days to all level of practitioners, morning sessions for Reiki Masters only and afternoon session for all levels. Be engaging, share the responsibility, ask for help (no one person can do this alone and I was very lucky to be surrounded with great Reiki friends who each gave a hand). Recognize that at the end the work falls on one person’s shoulders. It’s a lot of work but it’s well worth it. Time: Check with some other conflicting events going in the city, crystal festival etc. avoid conflicts. Ask feedback from presenters and major contributors. We set the date at least 4 months in advance. Send detailed agenda with directions. This reduces the need to answer questions later. Agenda includes: time, location, address and web site of location, cost (in our case, the event was free but we split up the cost of room and lunch, we charged $20 for all day and $10 for half a day). Nothing is written in stone, be flexible for change. Advertise event: Use all social networking tools, e-mail, ask everyone to invite a Reiki friend, ask Reiki masters to send invite to their students, advertise in local magazines, health food stores. Update community after the event: Send a meeting summary of what’s discussed and any actions pertaining the community. At first I was little bit concerned for clashes between different Reiki lineages. There is no better similarity than the reiki energy itself. We decided to respect each other despite differences. We set the agenda of the meetings accordingly. We also decided not to have key note speakers. Instead we had roundtable discussions, where everyone can join equally. Also, be aware that you can’t please everyone. There were some Reiki Masters who thought what we were doing was way too main stream. Also, some people left after first few sessions. That’s OK too. It’s important for these gatherings not to be dominated by few individuals. Even the leadership should rotate. This came up when I had an urgent business trip that contradicted with the Reiki day. I had to make a decision to reschedule or delegate it to another Reiki Master. I thought this was the great opportunity to give someone else to chance to lead. And it worked out perfectly. Introduction to Reiki Sessions: We’ve started to organized 1-2 hour free “Introduction to Reiki” sessions across the town. 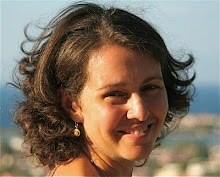 A Reiki Master has volunteered for an Introduction to Reiki session every month. This gave the diversity of different locations and times. The whole purpose was to spread Reiki in our community. We’ve had sessions at hospitals, non-profit organizations, and at homes. We advertised these sessions in our social networking tool and continued these session to spread Reiki. Volunteering for Reiki: We’ve generated a list of all organizations that Reiki practitioners can volunteer. We’ve made connections with these organizations, hospices, Wellness centers, animal shelters, AIDS organizations, hospitals, health fairs, retirement homes. We made presentations at these organizations to introduce Reiki. “Pearls of wisdom” We’ve gathered “pearls of wisdom” for new Reiki Masters. This is a collective list of advice from Reiki Masters to new Masters. “How we define and explain Reiki”. We’ve compiled Reiki definitions of various Reiki Masters from our community to help practitioners to explain what Reiki is to their families, friends, colleagues. Directory of Reiki practitioners and teachers for the Cincinnati area. We’ve built a practitioners list for those who practice or teach Reiki professionally, with name, location, e-mail address and web-site. We’ve published this list on our social networking tool. Reiki Day for practitioners: Reiki Masters organized a Reiki Day for all level of practitioners, with continuous Reiki trainings, forums. These events become perfect for Networking! Facebook /Twitter for local events: We advertise local events via our Facebook page and twitter. If there is one advice I could give, it would be to make this a selfless service (karma yoga) and not to seek any personal advantage. I was determined to emphasize the community need first and utmost; and not to bring my name in front line. I wanted to be an instrument for all that will happen. I also realized that the better I can practice this, the better the end result was. It was not an option after all. It was not about how I practice Reiki, it was about what the community needed. Later I defined my role as “space holder”. I was the Keeper of the Heart for this wonderful community. Are you ready now? I know you can do it. You have the most important ally on your side: Reiki. Don’t forget to ask help from Reiki. For as long as your purpose is to serve, Reiki will be there to support you any possible way.